Houston Criminal Lawyers James Sullivan and Associates have over 50 combined years of criminal defense law experience. They have successfully represented over 4,000 clients. They fight to make justice color blind. During jury selection (voir dire), they do their best to weed out the seemingly prejudiced potential jurors although stereotypes can go both ways. Sometimes, the venire members that on the surface appear like they would be strongly against a client based on skin color answer just the opposite when questioned. For that very reason, attorneys James Sullivan and Associates keep an open mind and do not prejudge the evidence, the witnesses, the jurors, and certainly not their clients. In his first felony jury trial in the mid 1990s, James Sullivan represented a young black man who killed a young wealthy white man in car accident. His client was charged with negligent homicide and everyone else was sure that he would be found guilty and receive the maximum 10 years in prison. Sullivan persuaded the jury that it was just a simple accident and not caused by gross negligence. After a few minutes of deliberation, the jury returned a not guilty. Sullivan has received many more acquittals and dismissals since then. 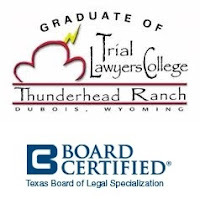 Houston Criminal Attorney James Sullivan is Board Certified in Juvenile Law by the Texas Board of Legal Specialization. Juvenile Law is different than criminal law. Houston Criminal Lawyer James Sullivan has fought to get many cases dismissed or won at trial. If you need serious representation, call Sullivan right now at (281) 546-6428.